She’s taking on the best in the world but a small part of Danielle McKenzie wishes she was heading to the NZCT AIMS Games once again. Today, she lined up in the first test of the International Surf Rescue Challenge on Maroochydore Beach in Queensland, against the best surf athletes from Australia, Canada, Hong Kong, Korea, the United States and Japan. Liam Back went some way to emulating his running heroes on the first day of the NZCT AIMS Games in Tauranga today. The St Peter’s College (Auckland) 12-year-old lists middle distance greats Peter Snell and John Walker as his idols and copied Snell’s trademark withering finish to claim the Year 8 boys’ cross country title on a stunning opening day at the national intermediate schools tournament. The championships have attracted 7500 Year 7 and 8 athletes from all over the country, from 228 schools. Back has a decent track pedigree, breaking a 34-year-old Auckland record in the 800m earlier this year and clocking a new 400m mark to boot. But cross country titles have eluded him, until now, as he out-gunned Finn Ward (Auckland Normal) and Gisborne’s Matthew Proffit to record a sweet victory. Despite a balmy spring day in the Bay of Plenty, athletes from colder climes featured heavily. 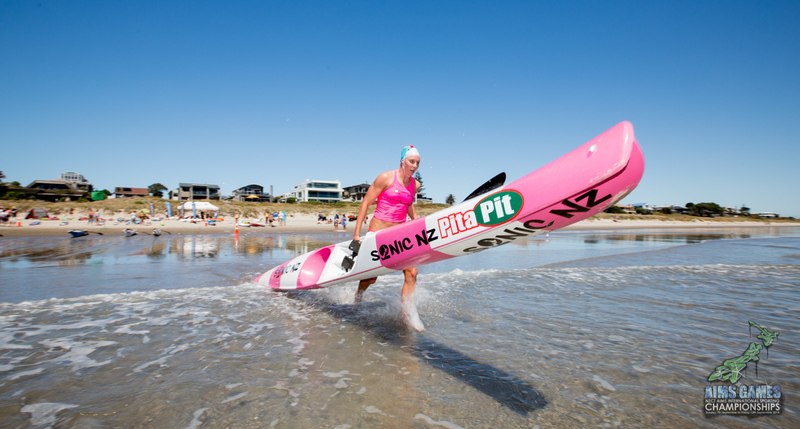 Christchurch’s Lucy Kokich claimed the only individual record of the day, clocking 11mins 24secs for the 3km distance, breaking the old mark – set in 2006 – by 4secs. Gisborne Intermediate’s Briana Irving also dipped under the old record, clocking 11.26, but she couldn’t head her Christchurch rival. Fairfield’s Charli Miller was third in 11.37, also helping Fairfield win the Year 7 girls team title. Another Hamilton athlete, Peachgrove’s Kalyan Gujji, won the Year 7 boys, easing past Taradale’s Ollie Marshall in the home straight, with Finn Seeds (Hutt International) third. Gujji arrived in New Zealand four years ago from India, picking up English quickly but his running even faster. He looked comfortable throughout and admitted he did enough to keep Marshall in sight, before out-kicking him at the finish. The Year 8 girls title also went south, captured by Liliana Braun (Christchurch South) in a title of 11.25. 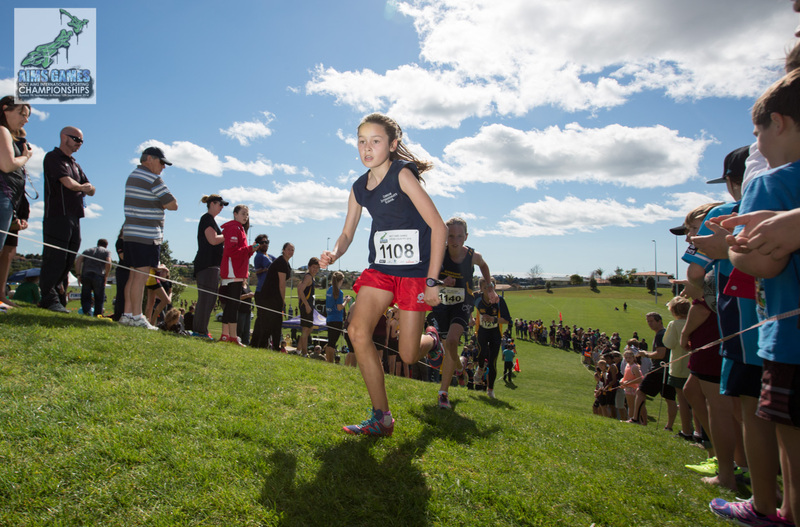 She led throughout, though had a few nervous moments thanks to fast-finishing Phoebe McKnight (Hutt Intermediate) and third-placed Samantha Corbett, striking a blow for the smaller schools representing Te Kuiti’s Pukenui School. 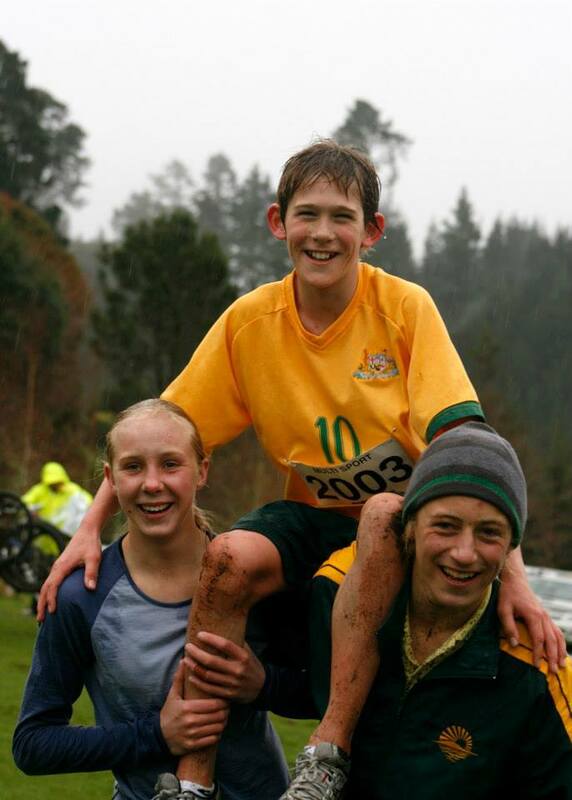 Braun, 13, recently finished second in the New Zealand under-15 cross country championships and runs with the Port Hills club. Otumoetai retained the 12km team relay title and broke the second record of the day in the process, taking 5secs off the old mark set in 2011 by finishing in 41.25. Year 8 boy Jade Stafford needed a big sprint in the final leg to dip under the record, while the school team was set up by two great legs from another Year 8 boy, Harry Low. Low and schoolmate Grace Blissett have a huge schedule this week, competing in cross country, swimming and multisport, with Low also adding football and Blissett adding hockey to their week. Tonight’s opening ceremony features guest appearances from Silver Ferns netball legend Irene van Dyk and Commonwealth Games gold medalists Sam Webster (track cycling) and Lauren Boyle (swimming).